Sick of people tailgating you while you're screaming down the road at 55 mph? 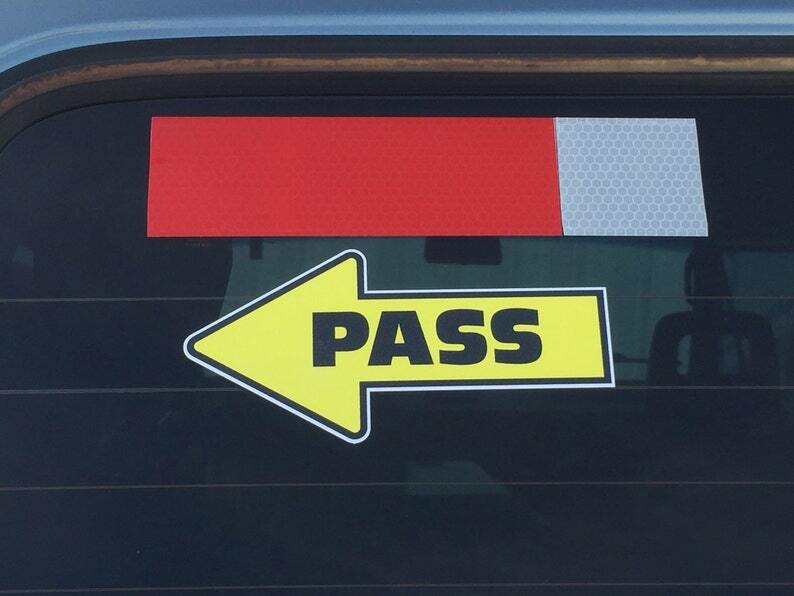 Invite them to PASS with this cool window decal. Ships same day. International orders welcome. Sticker went on the car window easily. Sizing was great, and other vehicles should be able to read easily.